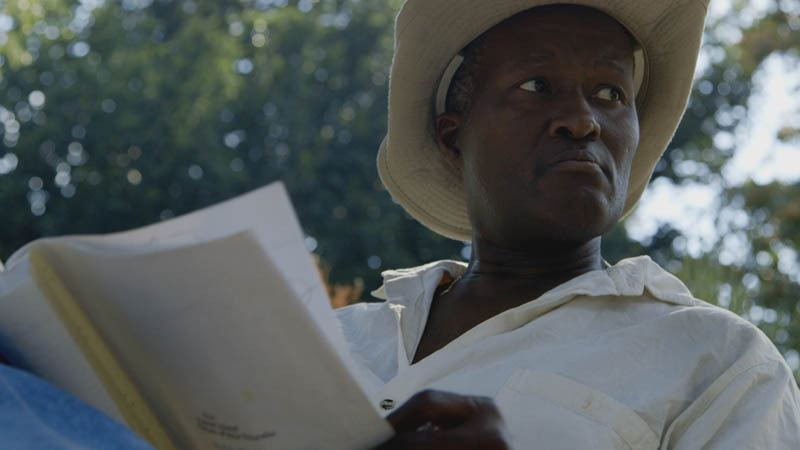 In the spirit of "American Movie" and "Be Kind Rewind," DOUBLE DIGITS: THE STORY OF A NEIGHBORHOOD MOVIE STAR introduces us to 52-year-old Richard 'R.G.' Miller, a tenacious low-budget filmmaker and unlikely YouTuber, as he prepares for his latest epic film "The Masked Man". This documentary follows his unconventional process - and delves into over 35 years of his personal and professional back-story - while serving as a universal example of what it means to be an artist and follow your passions despite incredible odds. Richard reads through "The Mask Man" script. An R.G. "Internet Art Film" entitled "Shark II: Wicked Beast"
One of Richard's various miniature stunt men. Shooting a scene from "The Mask Man"
Some last minute adjustments to the script and scene direction. Richard in one of his early films. A scene from "Rio Comanche"
Richard dressed as "The Mask Man"
Heading to work at 1 am. R.G. performing as "Dr. Hideous"
Reviewing a shot from "The Mask Man"
Richard filming a scene during 50mph wind gusts. A vehicle set from "The Mask Man"
Thank you! We will keep you up to date on the film's release. Shot over the course of 3 years, the film tells the story of Richard "RG" Miller. Learn more here. Our small crew helped make this vision come to life. We'd love to hear what you thought about the film.